Eligibility: Children aged 7 to 12. Draw your favourite LEGOLAND attraction. The attraction can be anything you fancy. Tell briefly what your attraction is all about , and why you think visitors will love it. Write your full name, age, gender, birth certificate or MyKad number, phone number and address written behind the drawing. 15, Jalan 16/11, 46350 Petaling Jaya, Selangor, Malaysia. 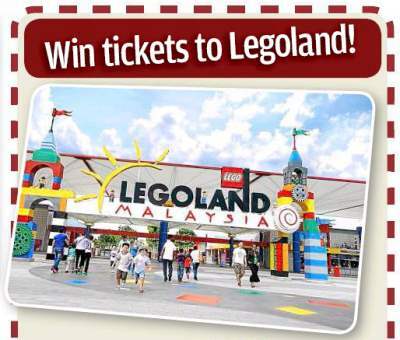 Visit Starchild-Legoland Malaysia Drawing contest page for more details. Pinkfong Baby Shark Win Live Musical VVIP Concert Tickets!